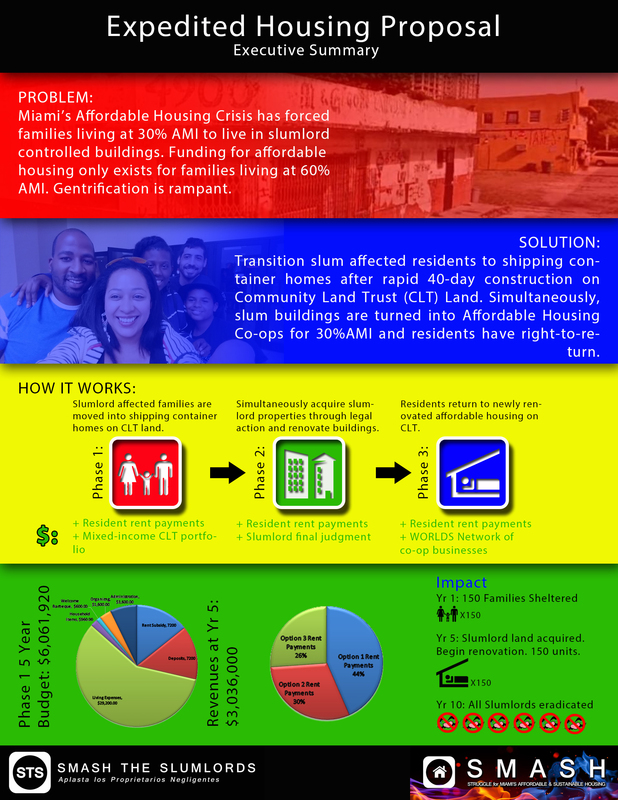 Miami, United StatesStruggle for Miami's Affordable and Sustainable Housing, Inc. Imagine a Miami where every family has a safe and affordable place to call home. Imagine if all our LGBTQ young people had a place to live and a community that cared about them. Imagine a Miami – indeed, a Florida, or even a United States – that worked for everyone--where everyone could afford that most basic of human rights, safe housing. But as I’m sure you know, that’s not the world we live in. Miami is now the most unaffordable city in America. This is hardly an issue unique to Miami, but we are seeing the trends of inequality and housing insecurity accelerate here, with disastrous effects on our most vulnerable community members. 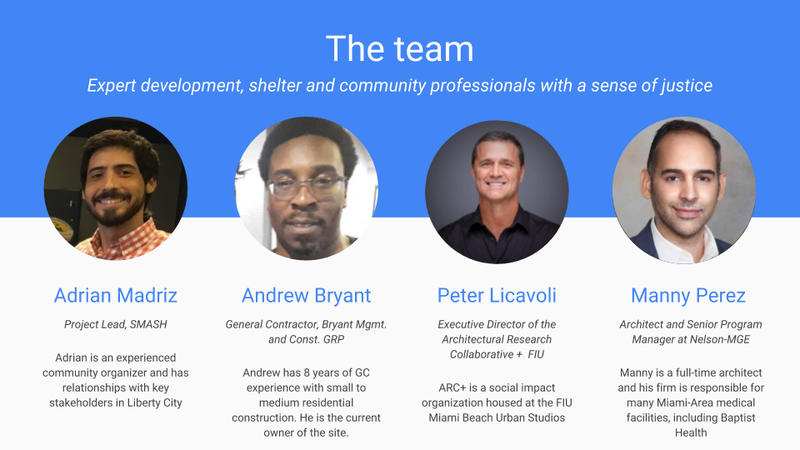 We believe Miami has a responsibility to take better care of our most vulnerable citizens but also that Miami can be a test case for a new approach to solving this problem--an approach that puts community need over developer greed, that empowers the community while also housing vulnerable families and young people. Thank you for giving us the opportunity to share this new approach with you! We hope you will join us in building a more just and fair Miami, and creating an example that can begin to build a more just and fair America. We have designed a new approach which allows us – and community organizations like us – to develop low-cost housing in a way that is sustainable and community-owned. It helps overcome the usual challenge of affordable housing and slumlords – if you condemn the building the people are homeless, if you force the owner to renovate they are priced out. 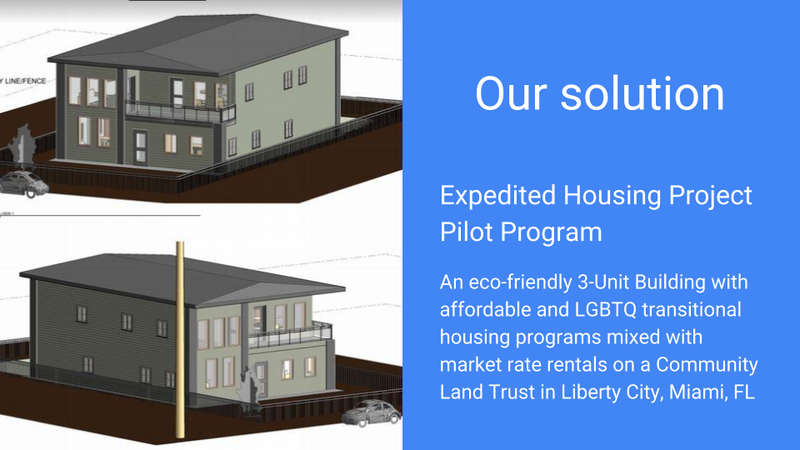 Our model provides temporary housing while the project is under construction, acquires the land from the slumlords and develops the building itself, owned and controlled by a Community Land Trust. This crowdfunding campaign is to fund the development of a pilot project to prove this new model works, while also housing vulnerable families and individuals in our community! Our proposed project is a small 3-unit apartment building, and when it is successful it will prove that community controlled development is an effective way to construct and operate housing, and we will have the credibility and expertise in place to be able to acquire more land, to get more funding, to then build more affordable housing, all of it controlled by the affected community through a Community Land Trust. The total project goal is $325,000, but we already have $200,000 accounted for. 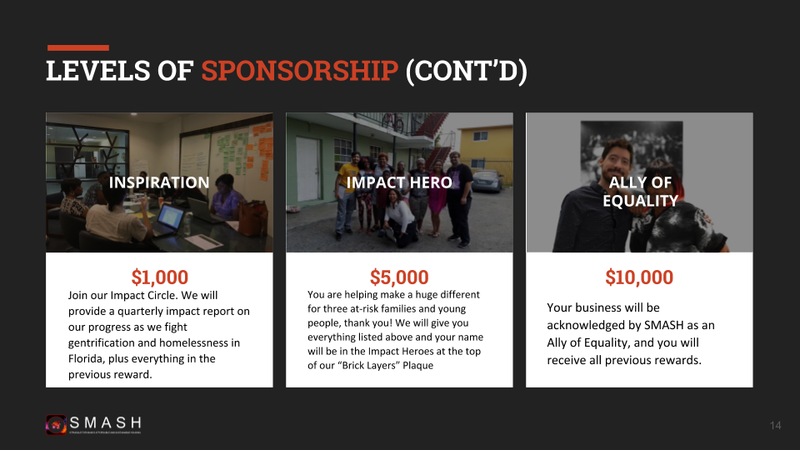 We need you to help us raise the final $125,000When this initial project is successful, we'll be able to acquire more land, and get more financing to move on to bigger projects to create more impact. 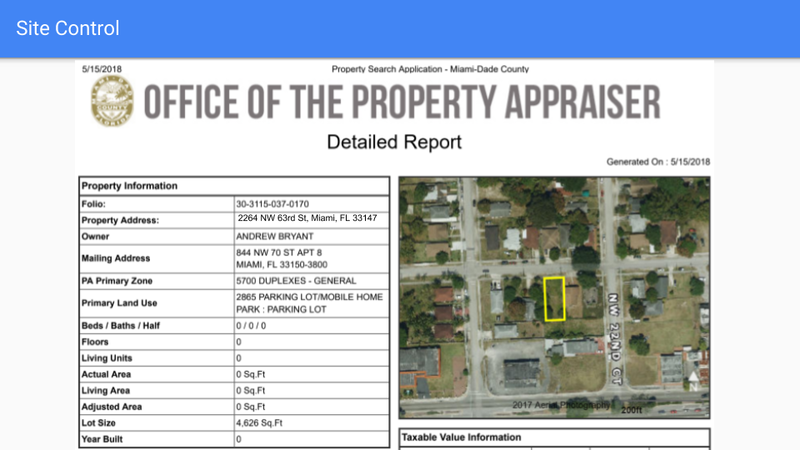 We have a block of land ready to go with preliminary designs ready to be approved by the community. 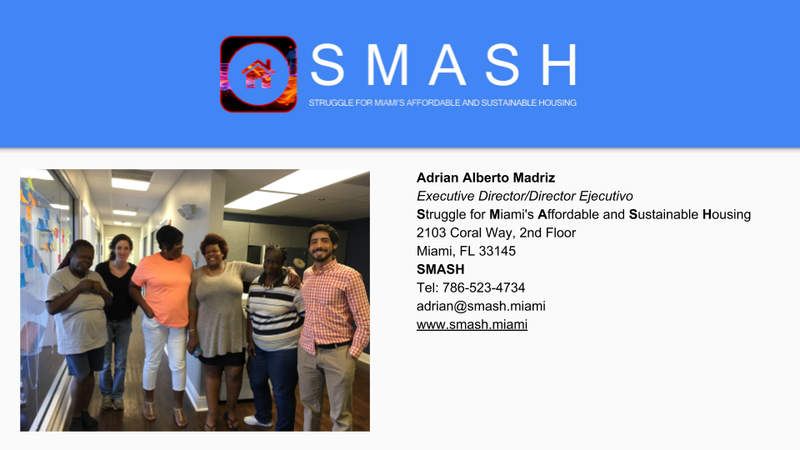 Struggle for Miami's Affordable and Sustainable Housing (SMASH) is a community driven non-profit developer of affordable housing. Our goal is to defeat the slumlords, end gentrification, shelter the LGBTQ Homeless Youth and develop Miami for the people, by the people. 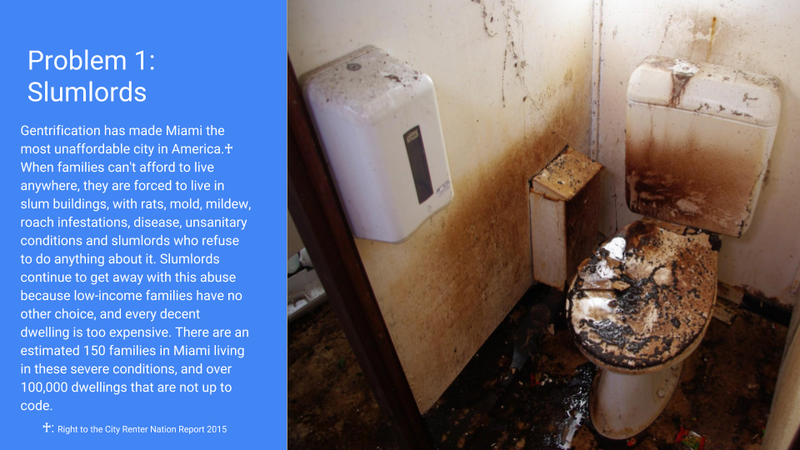 Right now in Miami, there are over 100,000 families living in sub-standard conditions that include rats, roaches, mold, mildew and airborne disease, and the landlords are negligent because they view the properties as income instead of shelter. Although the programs and services we are providing are valuable, the most important impact of what we do is the empowerment of the community through the development of housing projects that they create and control themselves. These public works bring communities together to develop their skills and tackle a common challenge, and there is currently no challenge more pressing than the lack of affordable housing in South Florida. Please join us in making this pilot project happen! Just choose a donation level to the right, or hit the “Support this Project” button above. If you want to know more about gentrification in Miami and how our model deals with this problem, read on…. NOTE: All design concepts and programs presented here are subject to the community design process and subsequent vote on Dec. 1st 2018 by the residents of the surrounding neighborhood. Your commitment to fund this project is also committing to whatever changes this process produces. You are welcome to participate in the design process by attending the meetings, events and workshops listed on this web page. If you’re interested in more detail about the model we’re happy to share! This is all about proving a new model that can be picked up and implemented by communities all around America (and perhaps the world)! The following slides are from our Expedited Housing Pilot Project Business Plan, which you can access in full by clicking here. We want to celebrate the people who make this possible! 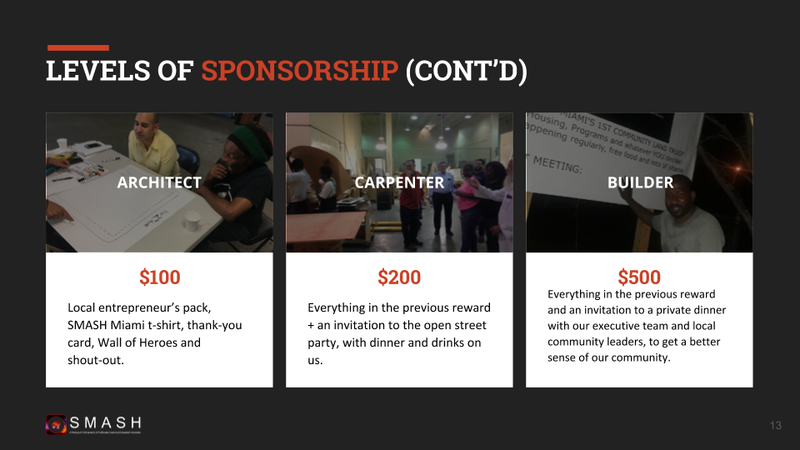 If you support this project you will be recognized on the wall of recognition called the “Brick Layers” in the house, invited to our open street party or a dinner with our executive team and you even have the chance to sponsor the development. See below for information, or just choose from the column to the right. 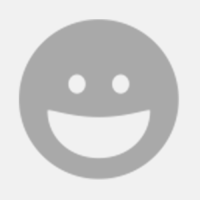 You also have the options to give anonymously or forgo any of the rewards on the next page. 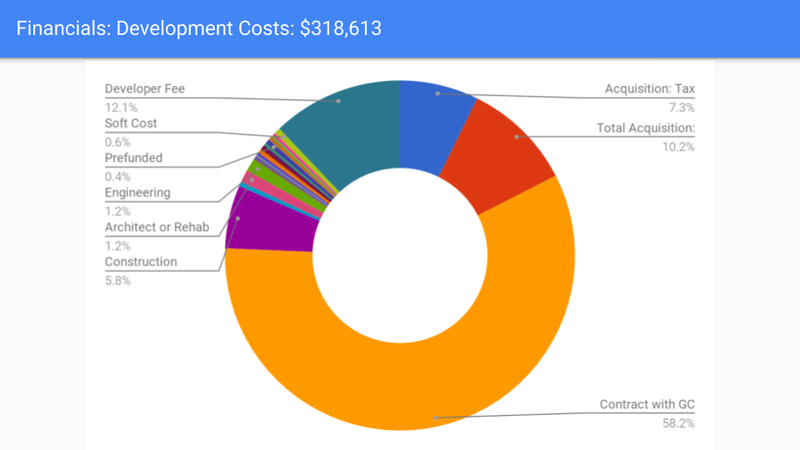 This will cover the full development cost of this initial pilot development while getting three families and at-risk individuals into secure housing. Please refer to the pro forma for a full breakdown of how the money will be used. The project will be able to hire a leadership training coordinator to provide training and skills to the residents of the project based in the fields of community service and collective empowerment. Every little bit counts. We'll send you a thank you email and shout-out on social media. 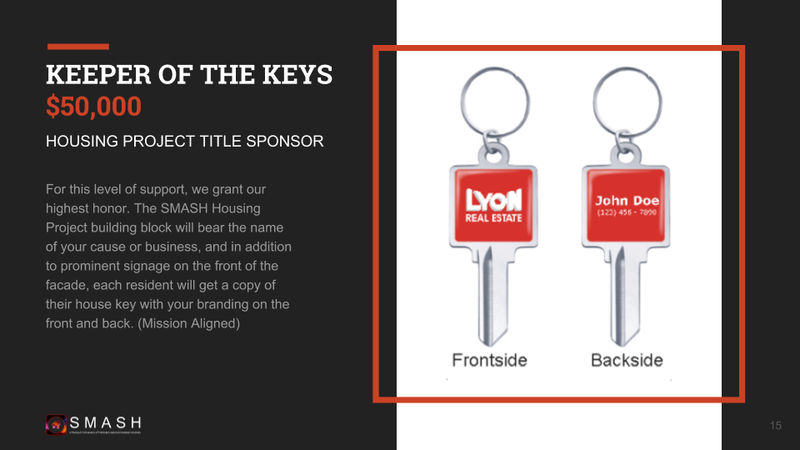 SMASH Miami t-shirt + your name on the “Brick Layers” plaque in the house entrance, commemorating those who support this campaign. 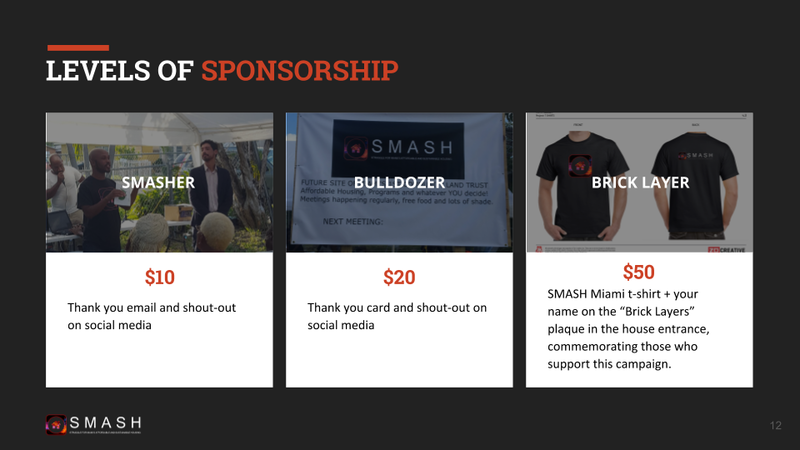 Local entrepreneur’s pack, SMASH Miami t-shirt, thank-you card, Wall of Heroes and shout-out. Everything in the previous reward + an invitation to the open street party, with dinner and drinks on us. Everything in the previous reward and an invitation to a private dinner with our executive team and local community leaders, to get a better sense of our community. 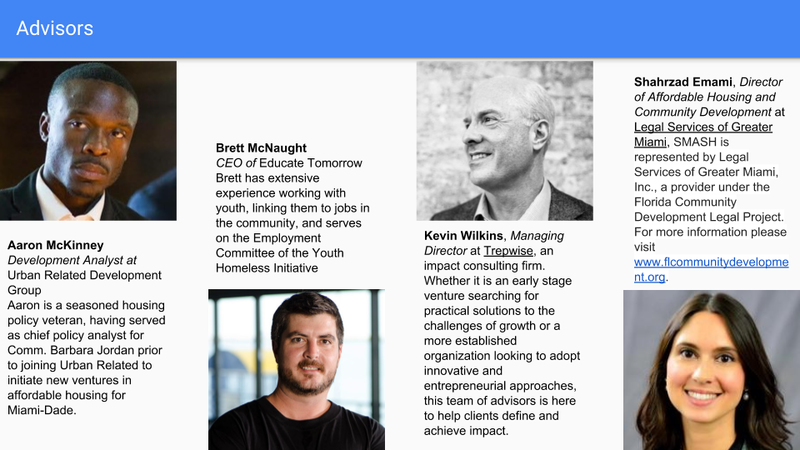 Join our Impact Circle. 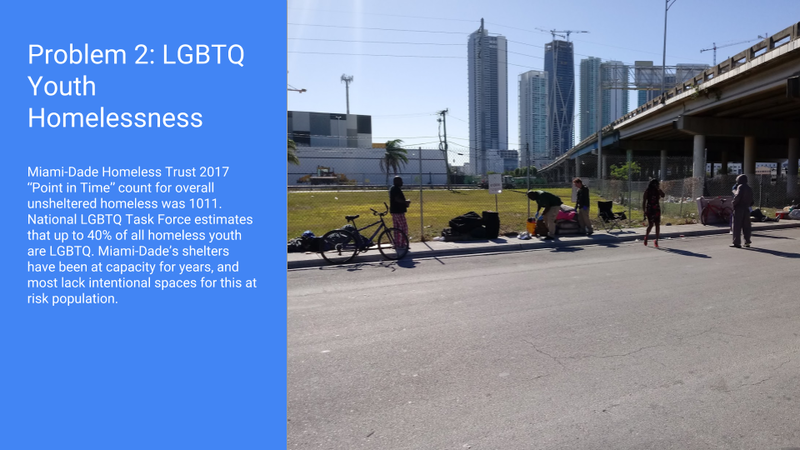 We will provide a quarterly impact report on our progress as we fight gentrification and homelessness in Florida, plus everything in the previous reward. Your business will be acknowledged by SMASH as an Ally of Equality, and you will receive all previous rewards.